The Apostle Paul sought to exert his influence and authority over the congregations he founded long after they had been established. Such ongoing oversight by Christianity&apos;s prototypical "evangelist" has not been adequately understood. In a brief 1987 article, W. Paul Bowers challenged John Knox&apos;s assertion that Paul&apos;s "pastoral and administrative work irked him and that he wanted to be free of it". 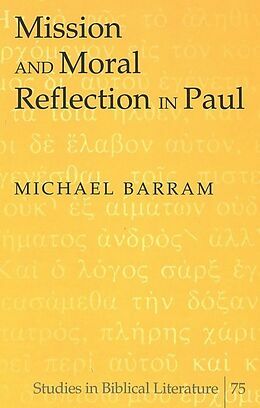 This book confirms and significantly develops Bowers&apos;s little-known thesis, examining a wide range of passages in the apostle&apos;s undisputed letters and highlighting crucial implications of Paul&apos;s broadly conceived vocation for understanding his mission and moral reflection. 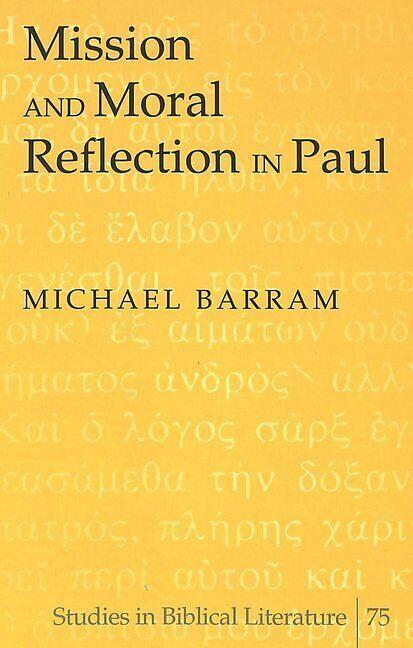 The Author: Michael Barram is Associate Professor of Religious Studies at Saint Mary's College of California. He holds a Ph.D. in New Testament studies from Union Theological Seminary-PSCE (Richmond, Virginia). In addition to the Pauline letters, his primary academic interests include biblical and theological perspectives on economic justice and missional hermeneutics.